Several years ago I had a vision. I was standing on a powder-soft beach with the waves gently lapping against my feet. A wooden pier stretched out into the calm, crystalline waters. In the distance a schooner had its sails furled, and the vessel cut a graceful figure against a ridge cloaked in tropical rainforest. The vision came in a moment of prayer, at a desperate time when I was re-evaluating my path in life. I had just failed my final semester after scraping by through four years of architecture school. It was a major blow – becoming an architect was a childhood dream I had pursued since the age of five. But my days at university proved that I had neither the motivation nor talent to compete with my gifted peers. When I told a close family friend about the vision I had seen, I was stunned by her prophetic words. I could never have dreamed of the things I would do in the years since. After going back to claim my hard-won architecture degree, my life has changed dramatically – with milestones such as starting this travel blog, learning two new languages (Spanish and Indonesian), meeting my best friend on the road, climbing a 3,700-metre volcano, and even directing a documentary short. Looking back on it now, the schooner of my vision closely resembled the fabled pinisi of Indonesia. I even have a wooden model above my bed, purchased at a handicrafts store inside Jakarta’s main airport, to remind me of that vision and a country I love more dearly than my own. Today I am proud to announce a trip that Bama and I have been planning for the past two and a half years. From July to December, we will be crisscrossing Indonesia, Malaysia, Myanmar, Sri Lanka, India and Nepal. Five of those six countries lie on the historic Spice Route, a conduit of maritime trade that has fascinated me to no end. 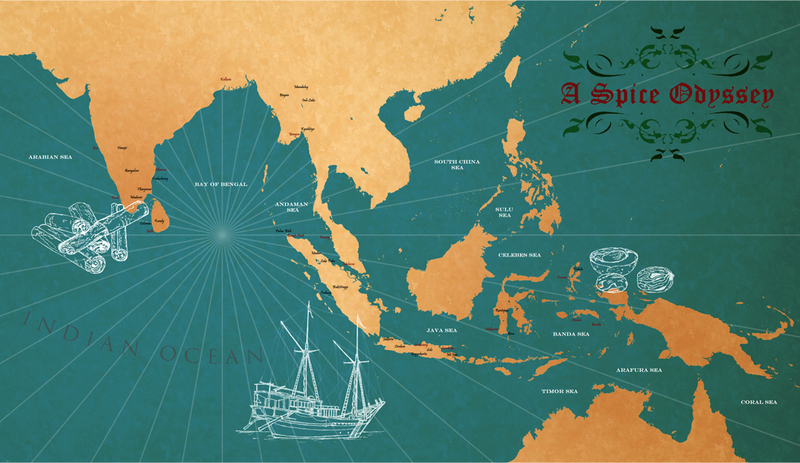 I plan to write a book from this journey, detailing encounters with the people we meet, and how the legacy of the Spice Route continues to impact the present day and the future. I will be one the person who onboard to follow your journey guys! I just finished reading Bama’s post, and cannot tell you how happy I am for you both. You’ve taken a dream and turned it into reality; so many people don’t do that. Kudos, and God speed. Thanks so much, Angeline. Your words mean a lot for both of us… the trip is a major step out of our comfort zone and I can’t believe it will be happening so soon. Take care! What beautiful words spoken – It will be a life changing trip, enjoy! I remember that sagely advice as though it were yesterday. Thank you for the well-wishes! I have been enjoying your blog and simply can’t wait to read your posts about your long journey. I believe it will surely be an unforgettable travel experience for you and Bama. We have never travelled for such a long period of time – it is really a big step up from what we do now! I’m looking forward to your travel adventure stories! Hopefully we’ll find places with reliable internet throughout the trip! Glad you heeded your vision and your wise friend’s counsel James. Good luck with your adventures! I know it is going to be your best yet. Shall be following your journey closely and look forward to meeting you both. Thank you, Madhu! I’m just amazed by the way things have worked out over the last few years. Visiting India (finally!) will be one of the major highlights – Bama and I agreed that we had to swing by Chennai to meet you in person. Wow, the trip that worth to be proud of. Cool. We’ve been planning it for so long, it seems like forever! Thank you!! And I appreciate the reblog! Thanks for following along – and for the reblog! So happy for you both James. What a fabulous journey it will be. I am looking forward to reading about all your adventures. I love this post because I learned a little about *you* and not just the places you’ve been to. Alison, I must say that your long-term travels since 2011 have been a huge inspiration for me. Thank you for showing us all that it is possible, and for your honest accounts of how travelling has changed – and challenged – both you and Don. All the best! I am jealous of the both of you, blogging together, and traveling together… good luck you your travel and I’ll look froward for your posts on your adventure…. Bama’s blog has taught me so much about your part of the world – I just read about your planned voyage, and subscribed to your blog also (didn’t know you had one before) so I don’t miss a thing! It will be interesting to read different points of view on shared experiences! Thank you, Marilyn! It is still a couple of months away but I can already feel the excitement. I’ve seen you comment frequently over at Bama’s blog – glad to have you here also! Congratulations. What a glorious opportunity. I can’t wait to follow your adventure! Thanks! I’ve yet to meet someone who has told me not to do it… although that may change when my career-minded relatives find out! Ha. No kidding. Well, good luck with all of it! I was really stunned by her words – I’m sure I will remember them for as long as I live. Those prophetic words are really interesting. I am happy for you that you have found a path that you love. I look forward to reading about your adventures – you are visiting some really awesome places. Thanks, Jeff. You and Kristi have already been to so many of those places – I’ll have to look through your posts on India and Nepal before we go! Wow, James… am happy for you and Bama. And if you love old wooden architecture, put Bhaktapur in Nepal in your itinerary. But aaargh… you are visiting beautiful places on earth. Selamat James, God speed! Bhaktapur is a must for both of us! We love history and architecture and I’m glad you suggested it. Makasih Riyanti, nggak sabar datang ke Indonesia lagi! James, this sounds so exciting. The spice route is a misterious one. I am looking forward to reading about your new adventure on here! P.S: I love traveling very much! Please share your experiences to the readers!!! I will do my best, Ashley!! Thanks for the well-wishes! Haha thanks, Halim… tapi koperku udah penuh! 😛 Look forward to our meeting when we get to Solo! James, what a great story, and great adventure. I’ve been on the ocean for months at a time, it gets pretty exciting at times. Other times…take a good book or two. I love it when synchronicity, or some deeper prophecy, appears in our lives. It’s like a sudden shot of chili pepper in your day. Good luck, looking forward to hearing all about that trip. Are you guys sailing the ship…or passengers, or what? How long is it? Does it have a name (yet)? Cant. Wait. *holding in scream of enthusiasm. Me neither… especially at the prospect of spending three months in Indonesia! Exciting days ahead! I look forward to following along! Fingers crossed I’ll find a way to post regularly from the road! What an opening to this post. How difficult it must have been at that moment in time to see “a dream” of architecture fade, only to give way to “your dream” of living. Like a true adventurer you went for it, found adventure and understood yourself at such a greater level that made it possible to return to architecture and excel. That is a story of living. Inspiration for us all. Perhaps the coolest part is the new adventure you and Bama have mapped out…a dream adventure so to speak. Years ago I read an incredible book about the spice trade by Giles Milton, called “Nathaniel’s Nutmeg” and what a history you both will be retracing. Very cool, look forward to reading of these adventures! What a heartwarming read, Randall. Thanks for this. I think our dreams change and shift as we mature… looking back, I don’t regret leaving the architecture world at all. I would have missed out on so much had I stayed. As for Nathaniel’s Nutmeg, I am actually two-thirds of the way through the book! 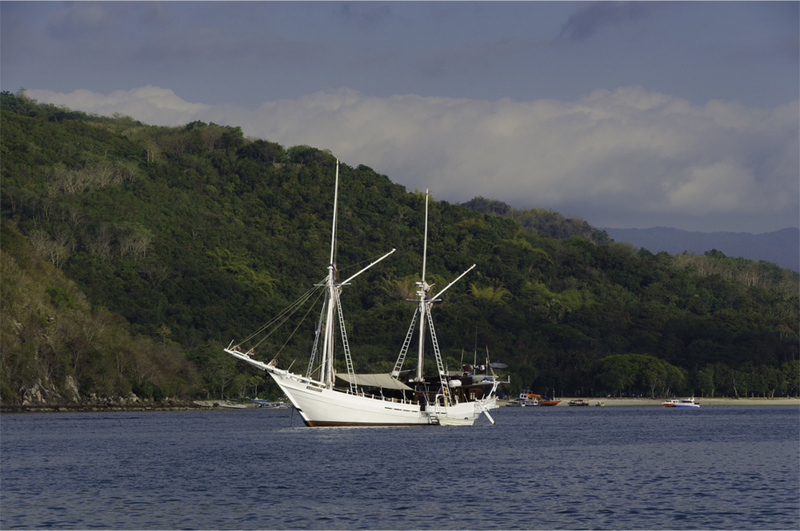 It makes me extremely excited about visiting the Banda Islands – we’ll be spending two weeks there in September if things go to plan. This is the perhaps most important thing in the world… You took the path that seemed right, even though it initially took you away from “your dream”, only to find it again in a much better position and state-of-mind as you discovered so much on your adventures. Very cool. Two weeks in the Banda Islands, excellent. Look forward to those posts without a doubt! What an adventure! I look forward to following your travels.